Registration with Cheltenham Shopmobility is easy, just complete a simple registration form. Before using our equipment you will need to have completed our training in the safe use of the equipment by our trained staff. Going on holiday or a relative coming to stay? 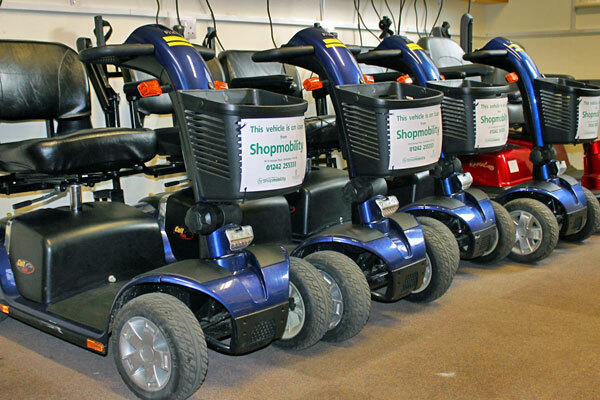 Cheltenham Shopmobility has manual wheelchairs and portable scooters available for longer term hire. This is for a maximum of three weeks except by prior arrangement. Two forms of identification are required confirming name, address and a cash deposit of £50 are required for wheelchairs and £100 for scooters. Your deposit will be refunded on the return of the wheelchair or scooter in good condition. For further information please read the shopmobility Highway Code for wheelchairs and scooters. If you are eligible for VAT exemption then this will be deducted on completion of an exemption certificate.